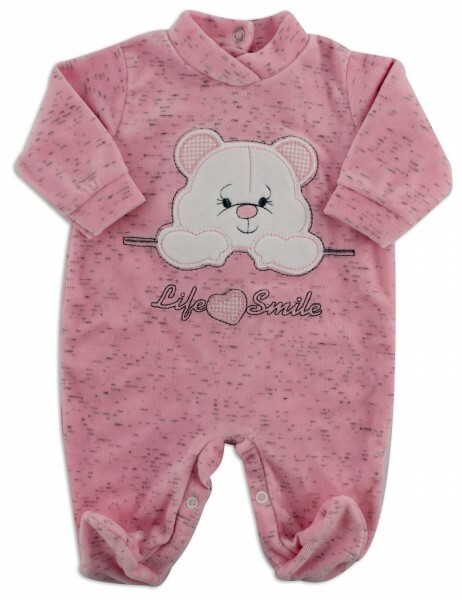 On the front you'll find a cute baby bear looking out over you, punctuated in grey with a melange effect, the word Life Smile is embroidered. Sizes 3-6 months. Opening in the back and to the horse with little buttons with pressure.